Rori and Rachel and Princesses on Ice! 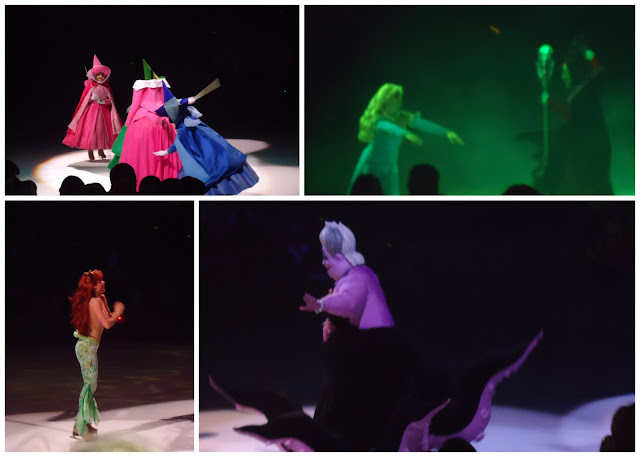 Jaime Ann: Rori and Rachel and Princesses on Ice! Rori and Rachel and Princesses on Ice! We had a lovely, but busy weekend. It started with Rori's bestie's birthday party. 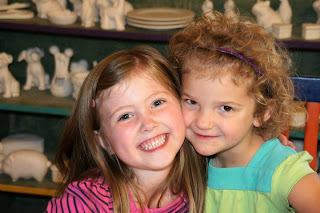 They got to paint ceramics, and Rori had a great time! 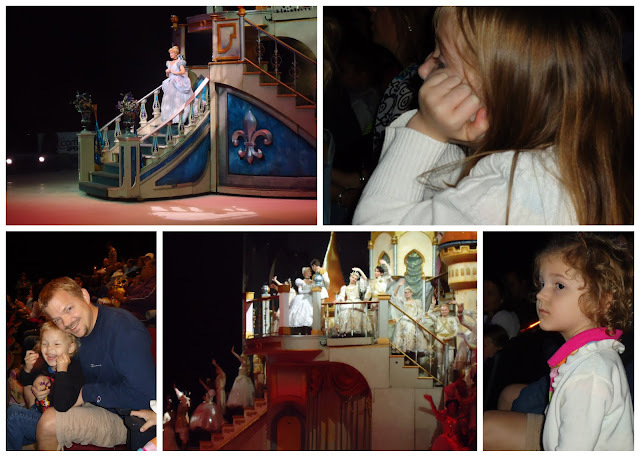 Then on Sunday, we got to go to Disney Princesses on Ice!! Bill and I had been contemplating taking Rori to see it, but it was pretty pricey. Then, about two weeks ago, Bill got a coupon code for seats in the fourth row for $12!! We couldn't pass it up. I immediately ordered 4 tickets, because we figured at that price, Liam should come too. After I ordered them, I thought, I should have gotten a ticket for Rachel as a birthday present. I talked to her Auntie, who works with me, and she offered to get her a ticket if I could still get one. Bill and I figured we would just get one more ticket and if it wasn't with the group, he would sit in it. I called Ticketmaster and they were incredibly helpful and got us the fifth seat in our group. I do have to give the dear hubby a shout out. I would have driven us by myself, but it was in the city and I would have no idea where I was going and everything is under construction, so Bill had to take us. Today was the opening day for the Chicago Bears, and he only grumbled a teensy weensy bit about missing it. 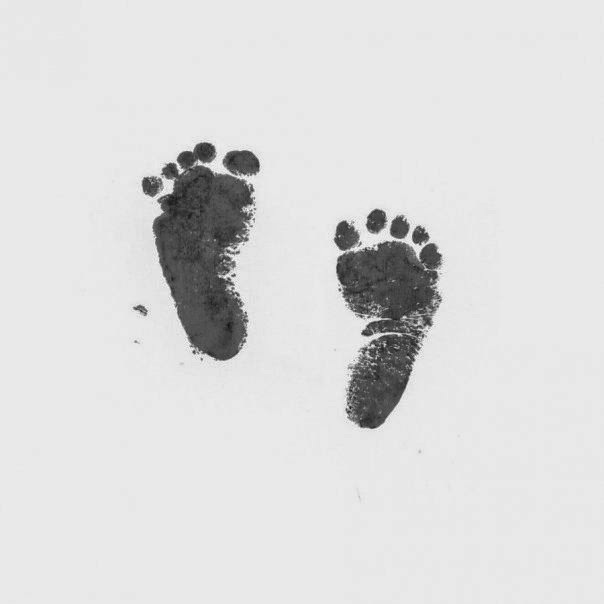 I told him he only got a little bit of credit for it because he has set the bar incredibly high as far as husbandly and fatherly duties, that now, this kind of sacrifice is expected :) But really, thank you for taking us, my dear. Rachel: "Her parents passed away." Rachel: "I don't know, that's what my mom told me." 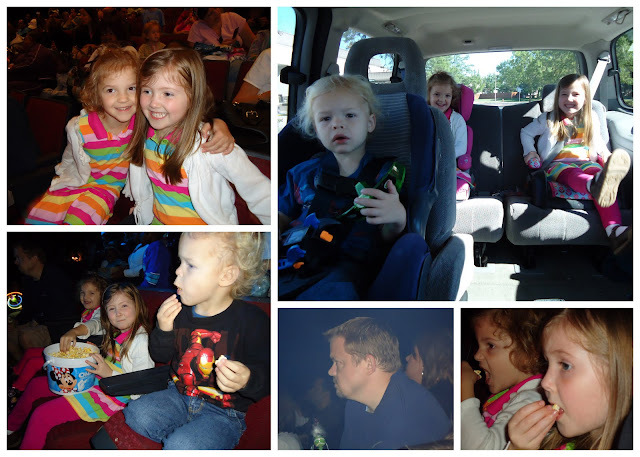 When we got to the theatre, the kids weren't very hungry--they were too excited. We got them popcorn and they sat back and anxiously awaited the show. 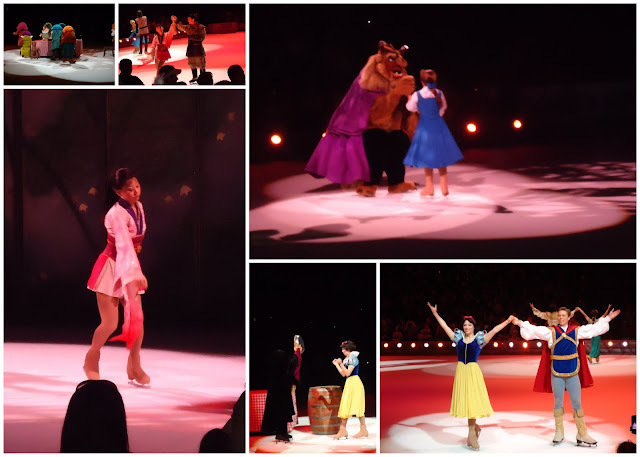 I have heard mostly negative things about the cheese factor of Disney on Ice, but I thought the show was wonderful. They re-enacted scenes from Beauty and the Beast, Aladdin, Mulan, Sleeping Beauty, and the Little Mermaid. The second half of the show they dedicated to my favorite, Cinderella. The girls were enamored. And there was enough of the Genie and other boy characters to keep Liam's attention. Bill just sat there and imagined those were his seats at a Blackhawks game, instead of Disney Princesses. Wish I was there...sigh with my hand on my chin looking off into space! But hey, I got to wash windows with MY prince...so there! Glad it was wonderful and Baby Wild Blonde Boy enjoyed it too! Looks like fun! Maybe next time Juliana could go too.